Happy Hour in Tucson! 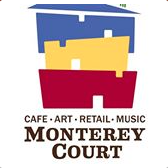 Come have a drink and a bite at Monterey Court Studio Galleries and Cafe. I’ll be playing from 5-7pm.